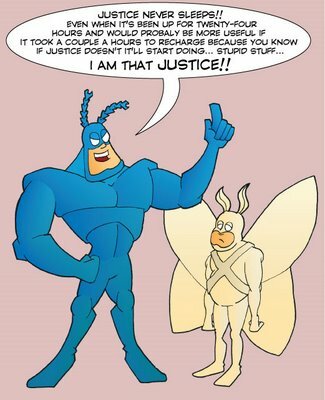 Posted by thetickthatbitme in Media, TBI Facts. 1. In your un-mown lawn. Ticks like to hide in vegetation to keep from drying out. Vegetation includes tall grasses, so don’t get lazy on the lawn upkeep! 2. In piles of fallen leaves. Yes, leaves are fun to jump in, and yes, the crunchy sound they make when you walk over them is lovely, but you (or your pet) could also be picking up ticks from leaf litter, so rake ’em up! 3. 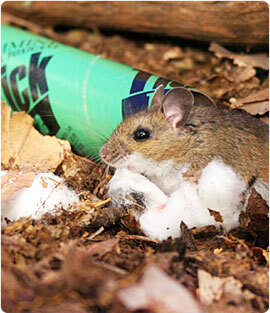 Anywhere mice or other rodents live. This includes wood piles, rock walls, crawl spaces, ground covers, abandoned vehicles, garbage, bushes, and palm trees. Mice also like to eat fallen fruit, so if you have fruit trees, be sure to dispose of any fruit that falls. If you have mice or rats in your home, chances are you have ticks, too. Here’s a more detailed list of mouse hiding places and what you can do to keep them away from your yard and house. 4. On and underneath wooden picnic tables and benches. To me, this is the creepiest one, because I’ve been to countless kids’ birthdays and neighborhood get-togethers in the park, and the last thing on my mind was tick exposure. If you don’t believe me when I say the risk is real, here’s an article abstract for a study conducted by Kerry Padgett and Denise Bonilla from the California Department of Public Health. 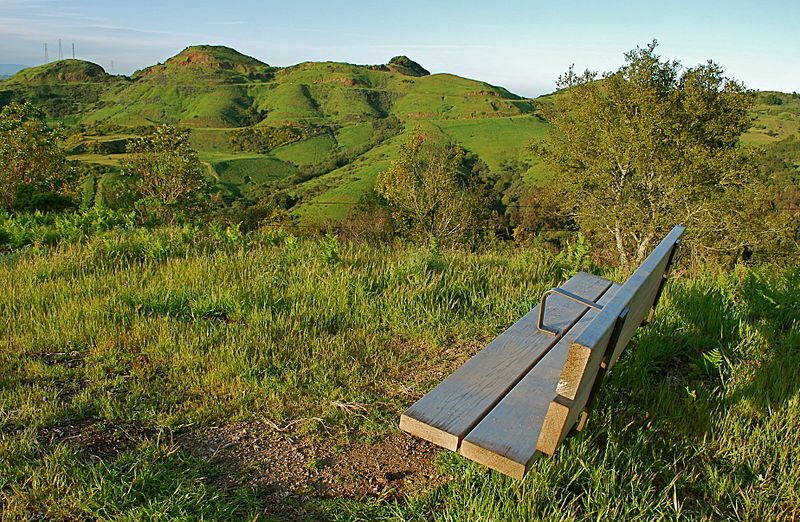 Park bench on Grizzly Peak, in the Berkeley Hills. Image via Wikimedia Commons. Credit: nickton. They collected ticks (some of which tested positive for Borrelia) from various areas in Berkeley’s Tilden Regional Park and found as many on wood surfaces as in leaf litter. If you’re planning on a day in the park, I recommend long pants and repellent with Permethrin. If you’re spending time outdoors, it’s a good idea to check yourself for ticks as soon as you come inside. The University of Rhode Island’s Tick Encounter Resource Center has a great multimedia tool, the Tick Bite Locator, which suggests common places to check for ticks. They also have images of a variety of disease-carrying ticks (although the soft-bodied ones are missing) at different life stages. Got a dog and not sure how to check him/her for ticks? WordPress blog After Gadget has a detailed explanation of how to do a thorough tick-check. We all know (I hope) that an ever-increasing deer population means an ever-increasing tick population. We may not be able to stop the deer from multiplying (although I hear some are trying with bowhunting), but can we stop the ticks? Fairfax Wildlife Biologist Vicky Monroe displays the day-glo pink pesticide that will show up on deer and any other animal who visits the county’s new feeders. Image via The Washington Post. A March 26 article in the Washington Post describes a study the Fairfax County (Virginia) Wildlife Biologist’s Office (in collaboration with the county’s Disease Carrying Insects Program) is undertaking in which deer are attracted to feeders with corn and simultaneously treated with permethrin, a tick-killing pesticide. The twist? 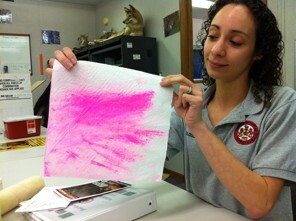 The pesticide has been dyed pink to allow for easier tracking of the deer. Fairfax County residents can expect to see not only pink deer, but also squirrels, raccoons, birds, and any other fauna that stop by for a snack. Thus, the pink deer study will help the Fairfax County Wildlife Biologist’s office determine how effective the feeder-application of the pesticide is in killing disease-carrying ticks on the deer. The study is costing the Fairfax County Health Department $380,000. For those in the county who have been affected by tick-borne infectious diseases (TBIDs), I’m sure this is not too high a price. Would you support programs like this in your community? What is your county doing to control the vector population and prevent TBIDs?